We've been hosting a handful of pop up events around Manhattan. We choose the project and then we have to buy and prep all the materials and supplies for groups of 15-30 people. Yikes but super fun! We always try to pick projects with a bunch of steps and for people of all skill levels. Here's one of our latest projects! It's a simple layering technique but in the end, it looks impressive! The trick is keeping the coats of paint thin...a little will go a long way! 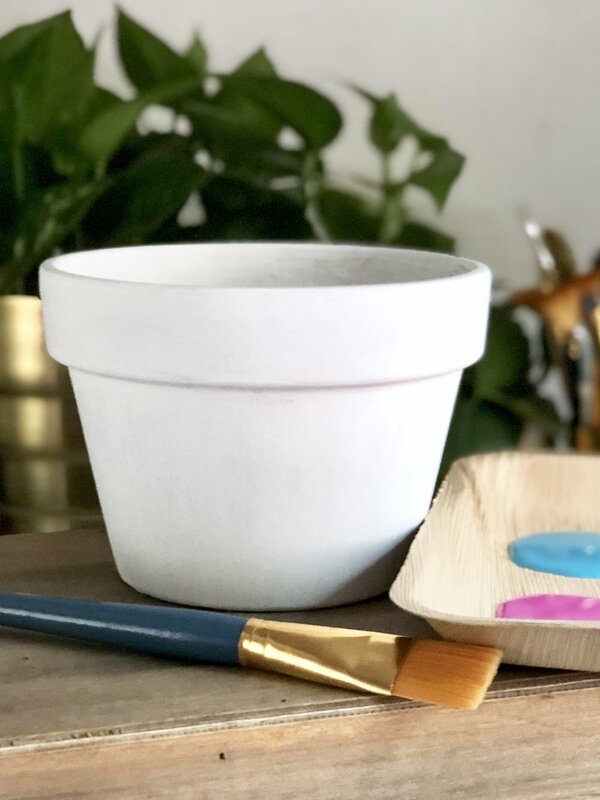 Start by adding two base coats of white acrylic paint to your terracotta pot, this will help the colors really pop. Once dry, lightly paint on colors in a random pattern, keeping a few blank areas. Depending on your paint colors they might need a second coat. 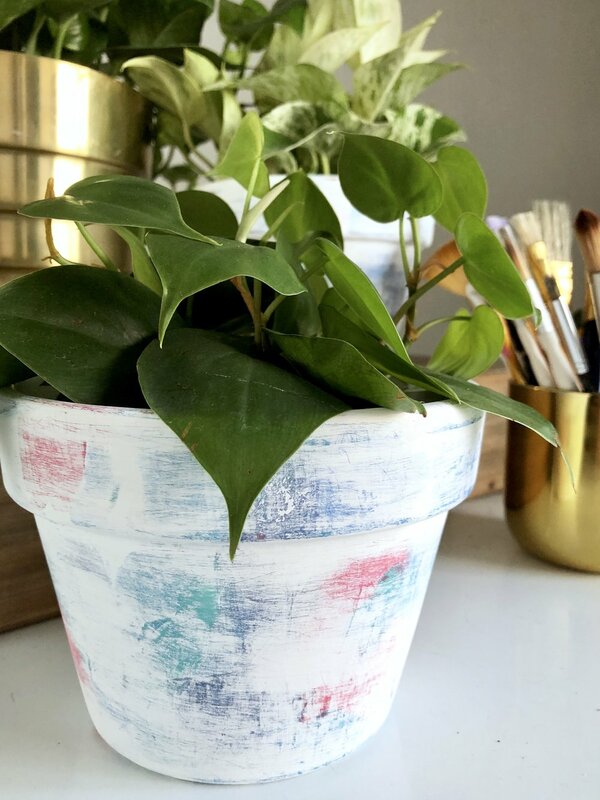 When dry, cover your masterpiece with another 2 coats of white paint...or leave it as is, cuz that looks super cute too! Now, use 220 grit sandpaper to lightly sand the pot. 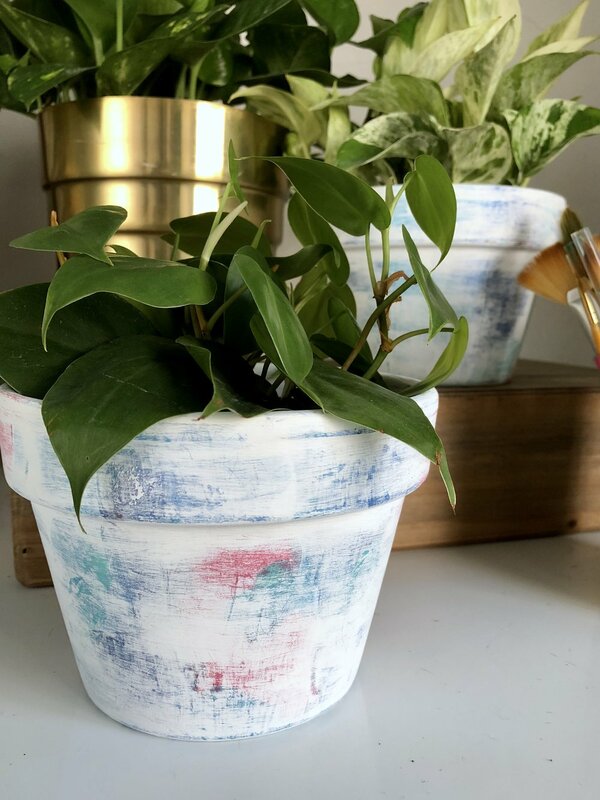 Don't sand too hard, you want to sand through the layers of paint gradually to give you a nice distressed pop of color! We should call this the onion pot...so many layers!